Housing in Shroud of the Avatar is available to players via pledge reward, Add-On Store purchases, or in-game gold that you acquire through adventuring. The above video gives you a basic understanding of the design early on in the process, as well as what the various lot sizes look like. 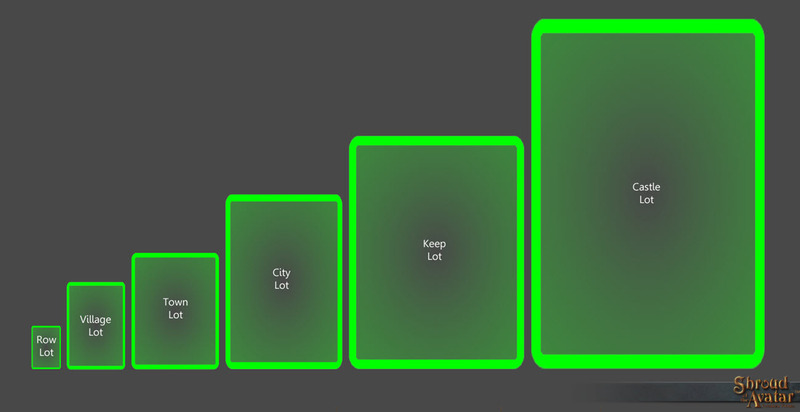 Since the release of this video the Portalarium team has added three new lot sizes; the Row, Keep, and Castle lots. Row lots are 1/4 the size of a Village lot. Keeps are twice the size of the City lots, and Castle lots are 2 times the size of a Keep lot. The Keep and Castle lots are reserved for Duke and Lord of the Manor pledges. Below is a list of homes that I have created walkthroughs for so you can get a better feel for the size and layout of each.